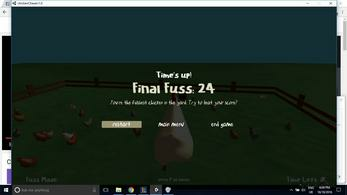 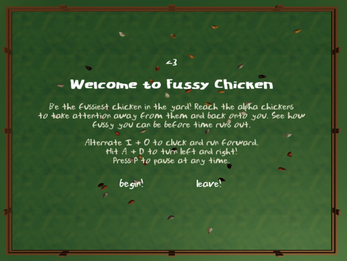 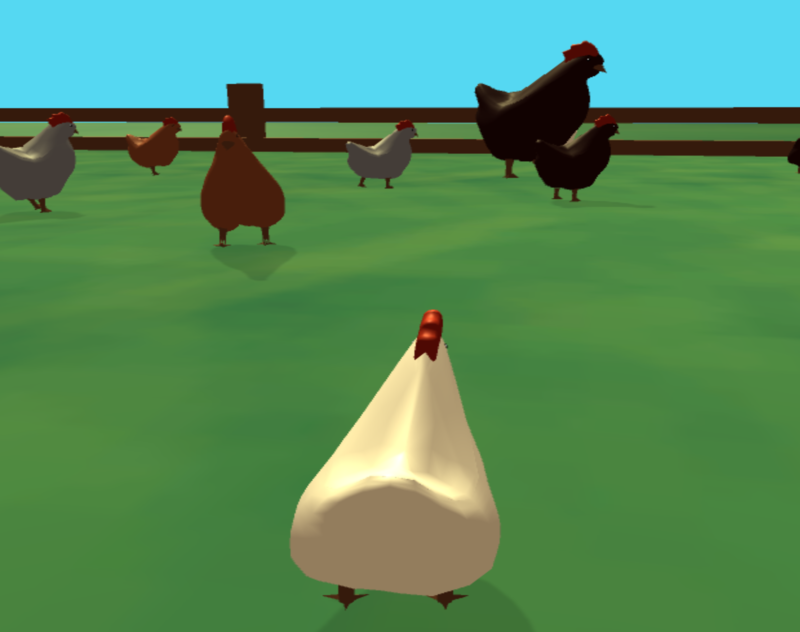 Become the fussiest chicken in the yard by making lots of noise and taking attention away from the alpha chicken. 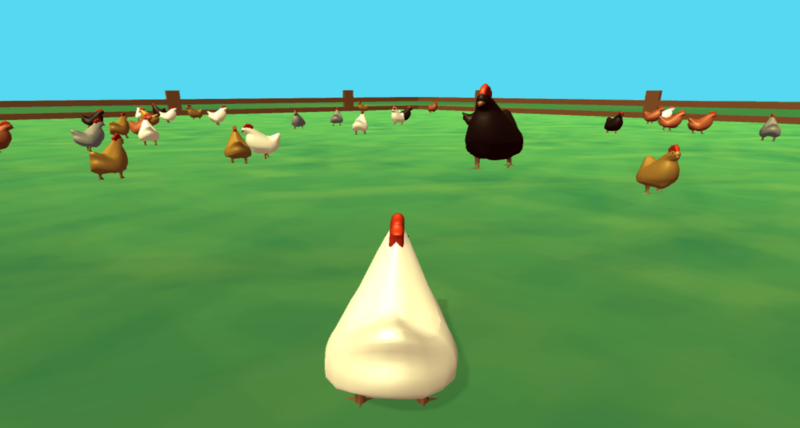 Chase down as many alpha chickens as possible before the timer ends. 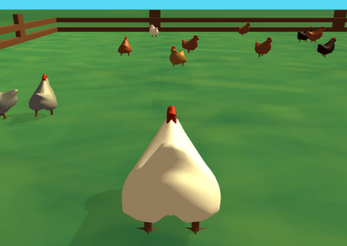 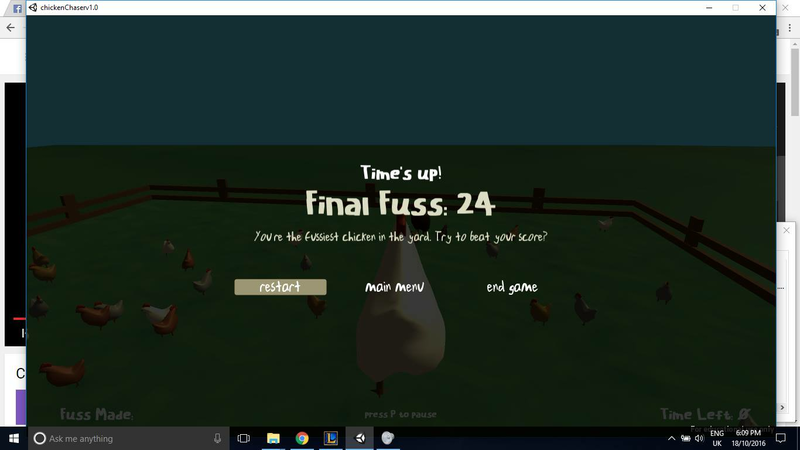 This game is a movement game, in which the player moves via how worked up their chicken is. Each cluck/attention seeking squawk allows the chicken to move faster and faster. By reaching the biggest chicken in the yard, the fussy chicken takes attention away from the alpha chicken and is one step closer to having all the glorious attention for itself. 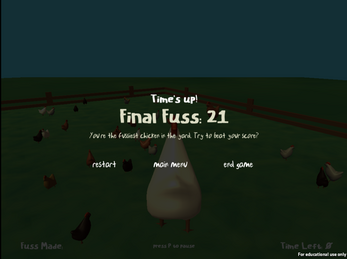 This game is intended to just be some light hearted fun, and practice in Unity. 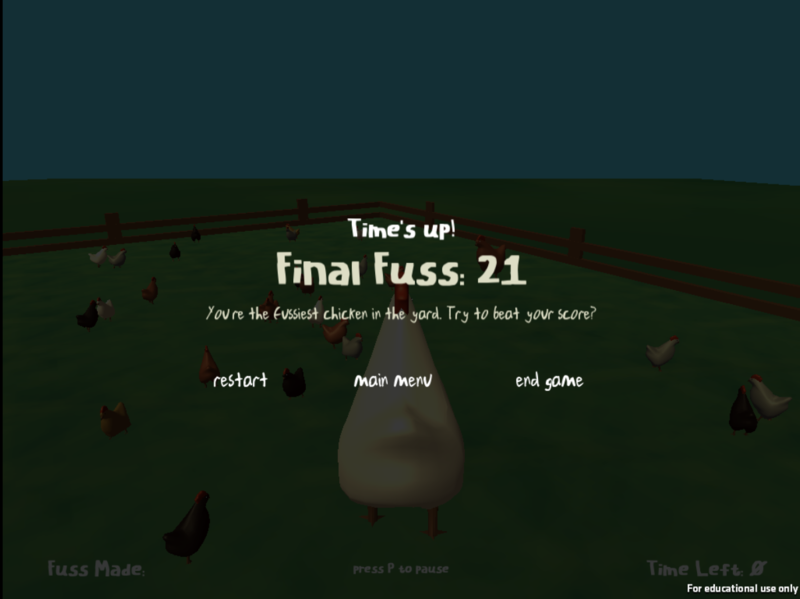 There may be future updates in the future such as multiplayer, or it may be included in a future game. 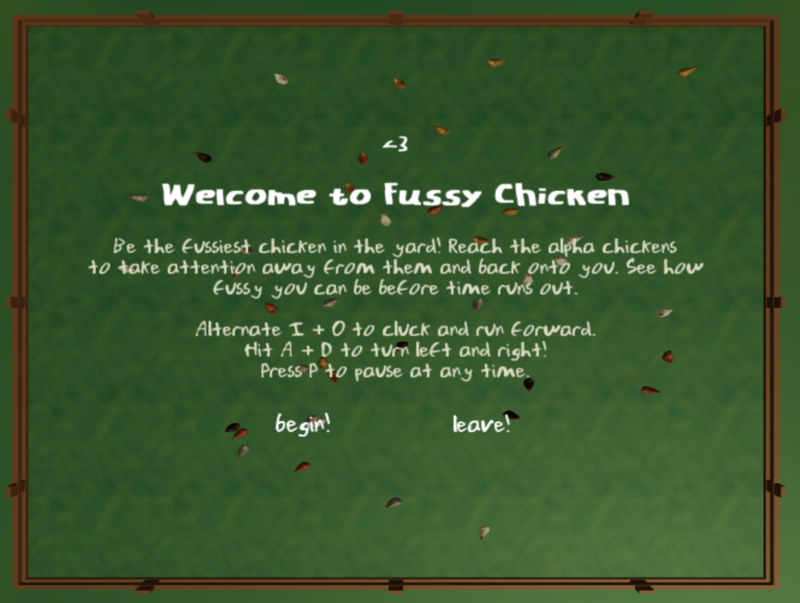 If you beat a high score screenshot it and send it to me!